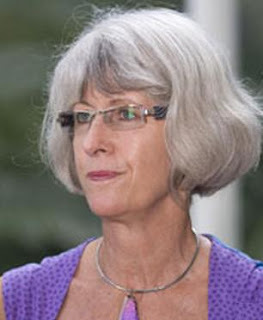 Well-known Cairns activist Bryan Law will be conducting a blatant act of free speech and anti-defamation sentiment tomorrow at the "Speakers Corner", in City Place, however Cairns Regional Council Mayor, Val Schier, is refusing to get involved. At the event a group will be formed to support Cairns Blogger Michael Moore who is presently the subject of a $350,000 defamation suit in the Supreme Court by Cairns Regional Councillor Alan Blake. The group will be called "Allies to Free Speech", and it will fundraise and mobilise political support for Michael Moore. The topic selected for discussion at the speak out will be "Alan Blake is a disgraceful, cowardly, lying bully who should be sacked immediately by Council", deliberately selected to provoke minor outrage, and to invite Alan Blake to sue Bryan law, on the basis of "pick on someone your own size". "However the central issue is much more far-reaching," Bryan Law says. "After establishing the truth of the allegation against Councillor Blake, I will go on to ask 'Is there any Councillor, MLA, or MP in Cairns about whom this cannot be said?' followed by an argument that our present political culture is barbaric, corrupt and largely empty of meaning." "And that grass-roots activism is the way forward," Law says. "Mayor Val Schier is declining to attend because she believes the topic is disrespectful. Deputy Mayor Margaret Cochrane is declining to attend for no stated reason. Councillor Alan Blake is declining because he thinks it will not be in his interests." "I support free speech and the right of constituents to challenge councillors' policies, behaviours and statements," Cairns Regional Council Mayor Val Schier said. "As previously conveyed to Mr Law, I am not supportive of the topic he has set for the event." However, Councillors Rob Pyne and Di Forsyth have indicated their intention to attend, with Pyne intending to speak. He will join local historian Tim Bottoms and former Mulgrave Shire Councillor Ross Parisi who will address the event. Be there! Or be square! I visit this site regularly. I support the mission of Cairns Blog. I love the alternative views that are given here. But am I the only one who is sick of Bryan Law piggybacking to get some attention? He comments on everything and brown noses to MM to get free coverage. MM's readers are not supporters of BL. He is a non entity operating on the margins. Why is he given such a high profile on here? Good on Val for seeing this as a Bryan Law attempt for relevance. Sit down already Mr Law. I hardly ever visit this site. I'm sick of Bryan Law because he doesn't toe the ALP line or call himself progressive. I can't argue very well on the facts though. So I'll just say he's a blubbering sackfull of guts and bad breath, and his kind of thinking ought be banned from everywhere. Is that good enough Val? p.s. I tried starting my own blog, but no-one ever commented. Well well Val what a surprise . I was a staunch supporter of vals . But she is weak and non supportive of anything that may cost her a vote. I also asked for her support only once , not for me but the dugongs and animals . Thanks for the link to the site and good on you for trying to do something; I have witnessed the killing of a turtle and dugong being killed and can verify the descriptions on your site. Haven't heard from you for a while. What's been happening? Val"
The above was her response when I was wanting some support. I asked her to speak about it on air she declined . I found that is what all labor people in power do when you ask for something from them , not for yourself but for others. I am not surprised mike she is distancing herself from you . I look like an elephant and have a memory like one . Roll on the council and state elections. I must dig up that other email Val . And Oliver , Allison and the rest of her band of defenders save your fingers I do not care. My decision not to attend the rally does not mean that I do not support free speech or you or the rights of residents to challenge what their elected representatives are doing. I have stated clearly and publicly that I do not think that ratepayers funds should be used in any way to stifle dissent. You will recall that the previous mayor used legal avenues to try to get the Clifton Beach Ratepayers' Association to desist from challenging council decisions and I deplored that action.